Those who know me, know I am a complete fake tan addict. It started out with dodgy applications of Rimmel Sun Shimmer back in the day (cue a lot of embarrassing too-bronzed pictures of me circa 2009), but these days I like more of a deep yet natural tan. 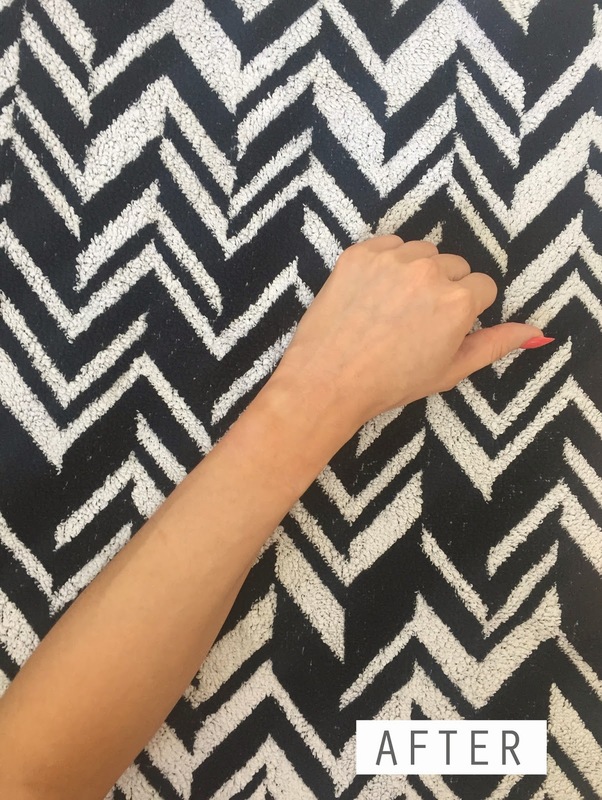 I use Sunkissed Self-Tan Mousse on a near daily basis in the Medium Bronze, but it is more of an instant tan so when I headed to Marbella last month I was on the look out for a longer wearing tan. I’ve used so many expensive tans, but I have always been so impressed with the budget Sunkissed products which completely outshine their luxury competitors. 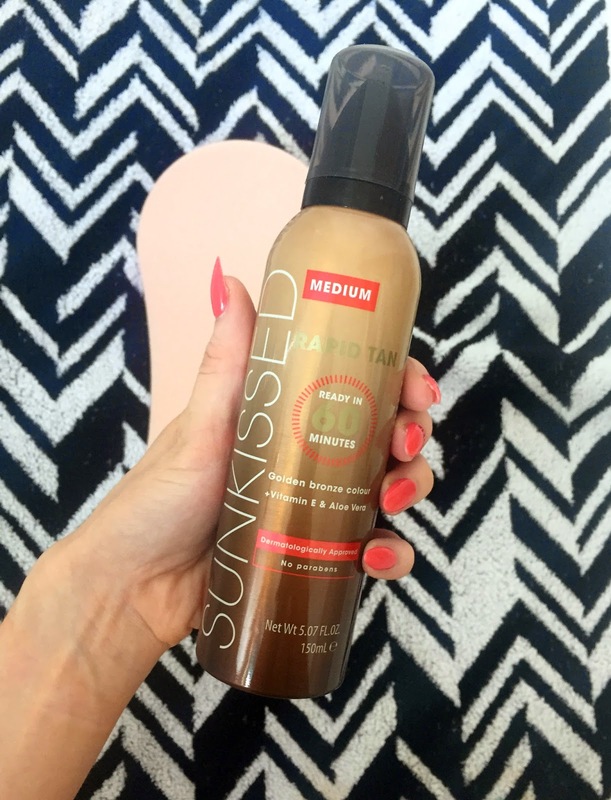 I decided to try the Sunkissed Rapid Tan Mousse which promises to ‘turn you beautifully bronzed in just 60 minutes and delivers a long-lasting, natural looking tan’ – just what I was looking for. The bottle is sleeker than my usual self-tan mousse with a nice metallic finish. The first thing I will say about application is the mousse comes out fast – seriously fast! 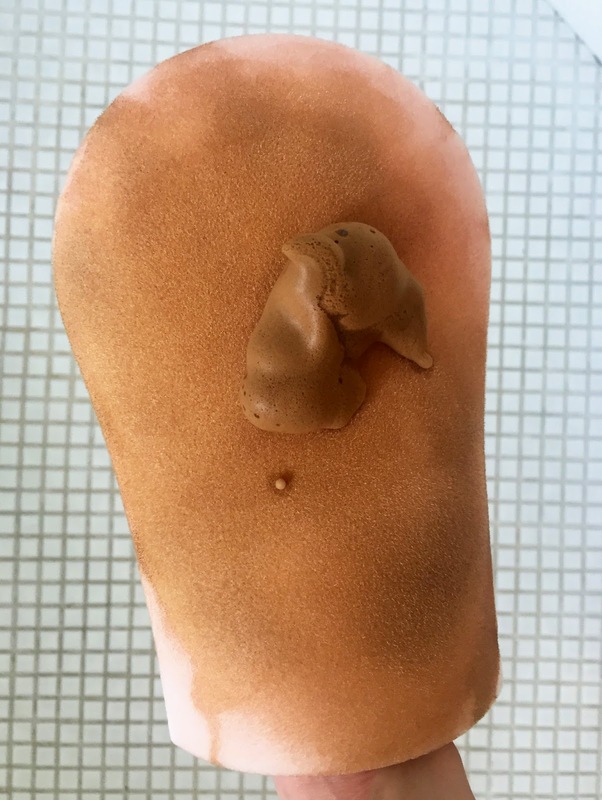 A tiny push of the nozzle application gives a lot of product so try not press down too hard (I learned the hard way, hence the bad tan mit pic above, oops). As soon as I started applying it to my skin, I was so delighted with the light and easy to use texture. It pretty much glides on and smells a nice coconut fragrance like the other Sunkissed products. After washing off the guide colour approximately 3 hours later, I have to admit – I was a bit lighter than I had hoped, but the tan itself was flawless. I think it is a perfect product for every day use back home, but I was looking for a bit more of a bronzed look for a weekend in Marbella. 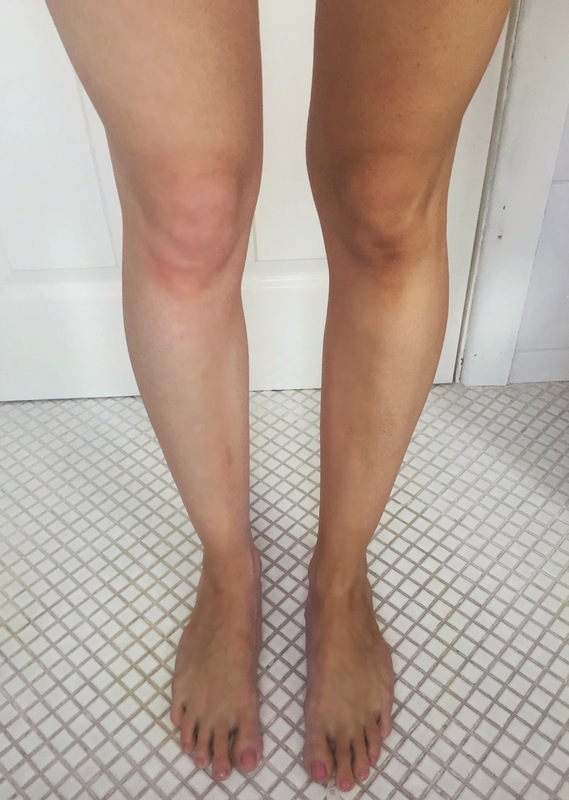 As I wear fake tan on a daily basis normally, I think I’m maybe not noticing the difference in colour as much as someone who rarely tans. I would be keen to use the tan again, especially if they bring out the Rapid Tan in the Dark Mousse like they have in the other Sunkissed ranges. Until then, I will be repeating what I did for Marbella and applying a second coat before washing off for a little bit more of a glow! 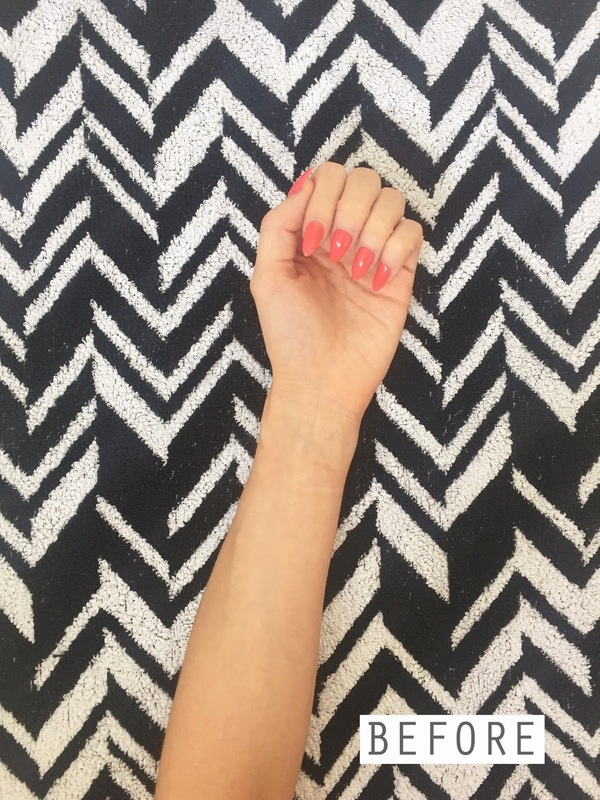 My tan lasted for the 3 night break too without going patchy – perfect. BEST FOR First time tanners, those looking for a natural and subtle glow with a guide colour. RATING 4/5 Flawless coverage and a fantastic product for budget price plus it is infused with Aloe Vera and Vitamin E and contains no parabens so your skin feels moisturized. WHERE TO BUY Rapid Tan Mousse, £4.99 at Sunkissed Bronzing or in Bodycare stores nationwide.